Working at Thomas Cook France means participating in a great adventure where each journey is unique. The colleagues are part of an international group where employees are 100% involved in the future of the company to offer everyone a personally fulfilling career. The tourism sector is constantly changing. 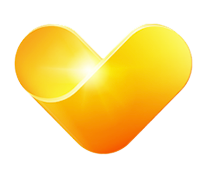 Thomas Cook is an ideal company for those who like challenges and are committed to imagining the products and services of tomorrow. We place our customers' satisfaction at the heart of our commitment and deliver their expectations. We also adapt to changes in the market and continue our digitalise.